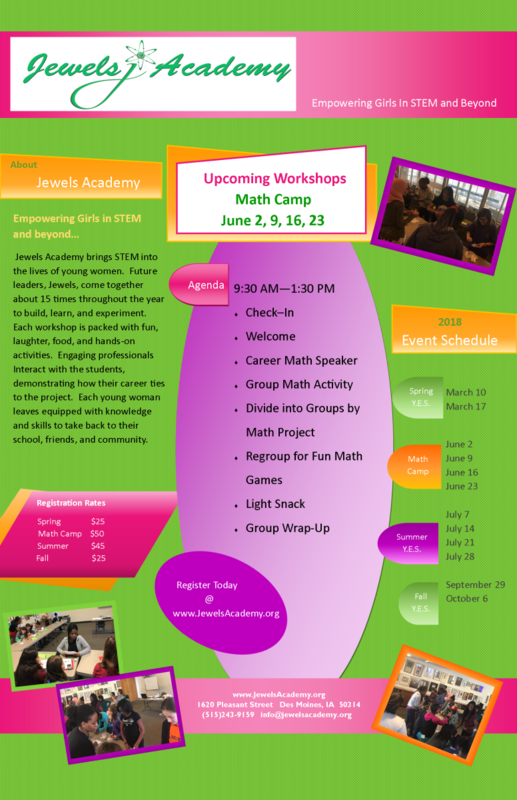 Math Camp will be on Saturdays 6/2, 6/9. 6/16 & 6/23. The cost is $50. We will start at 9:30 a.m. to 1:30 p.m. at the Mickle Center (1620 Pleasant Street, Des Moines, IA). This year we will solidify math concepts in fractions, divisions, and decimals through project based work.